What is your choice when it comes to Digital, vinyl or cassette music? In this Dirty Disco music podcast episode, almost all selected tracks are released on 12″ and one album is released on cassette in stead of vinyl. Let’s discuss this and more in this weeks Dirty Disco 282. Here we are again, a brand new week can only bring a brand new Dirty Disco 282 episode. This weeks selection came out of my pre selection of 100 tracks. I managed to play 25 of them in my weekly DJ mix that i host as a music podcast here on my website among other platforms as well. Those 25 tracks come from various new EP’s and albums recently released on record labels worldwide. I have 1,5 promo, most releases are also available as 12” on vinyl. All are available as digital format, like MP3 and through the music streaming services. 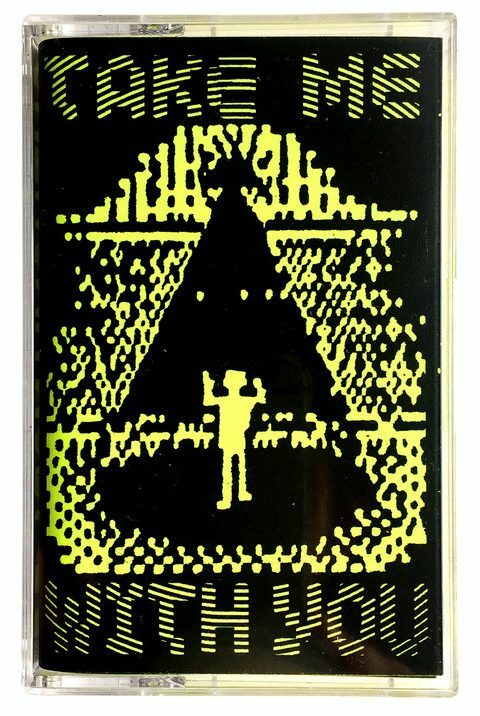 And one of the featured albums is available as cassette. Digital, Vinyl or cassette music? Let’s look at that first. Over the last couple of weeks and months. I have been seeing an new growing trend. It looks like cassette is returning back. A couple of episodes ago i also discussed the matter. You can check that specific episode here. Where Letherette dropped a new album on cassette, and i talked about: is cassette coming back? At that time i didn’t think that cassette is on it’s way back into our way of living. But it seems like that trend is growing and might just be the next big thing. It happened to vinyl, and look where vinyl is at now? It’s very much appreciated and popular among a lot of people. Of course the question if cassette is able to do the same thing, remains. What do you think? Is cassette coming back? And what about all those options you have nowadays. Digital, vinyl or cassette music, what’s your choice? Anthony Naples – Take Me With You. The reason for me to bring the subject back again. 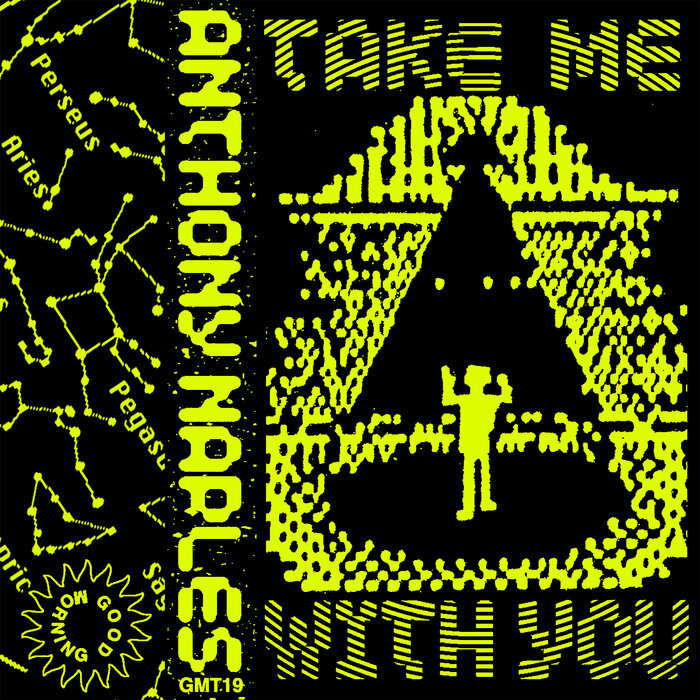 Is the release of the new ambient house album by Anthony Naples – Take Me With You, which is released on the Good Morning Tapes record label who made the album only available on digital formats and cassette. 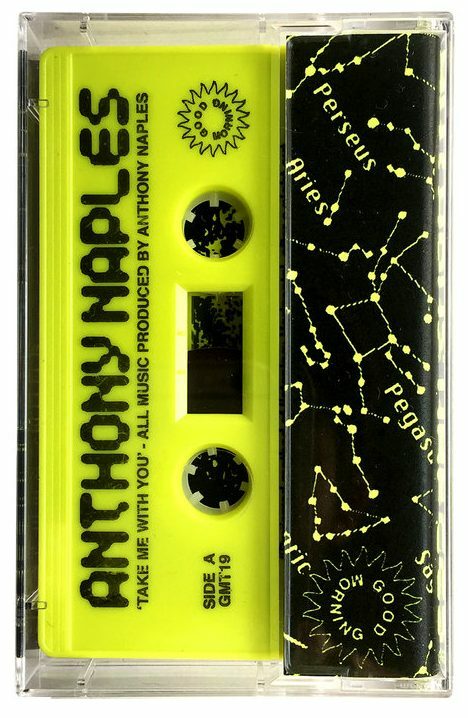 Although we mostly know Anthony Naples as a Deep House Music producer. He now delivers a new album that includes a lot of ambient soundscapes. A beautiful mixture of danceable electronica with a strong side to the deep and atmospheric textures as intro’s and breaks. The album includes 12 tracks and is available on all digital formats as the music streaming services. And on cassette. Before i give you the track of the week. Let’s look at the new release on the Steel City Dance Discs imprint. SCDD008 brings 3 new tracks from Salary Boy, who knows how to work his magic on that deep disco vibe. Two of the tracks from this EP are included in this weeks music podcast episode. I really love the deep disco vibe in combination with those smooth vocals and samples. All tracks bring a laid-back groove which is easy to dance to or just for plain listening pleasure. Listen for yourself and let me know what you think of this new EP. 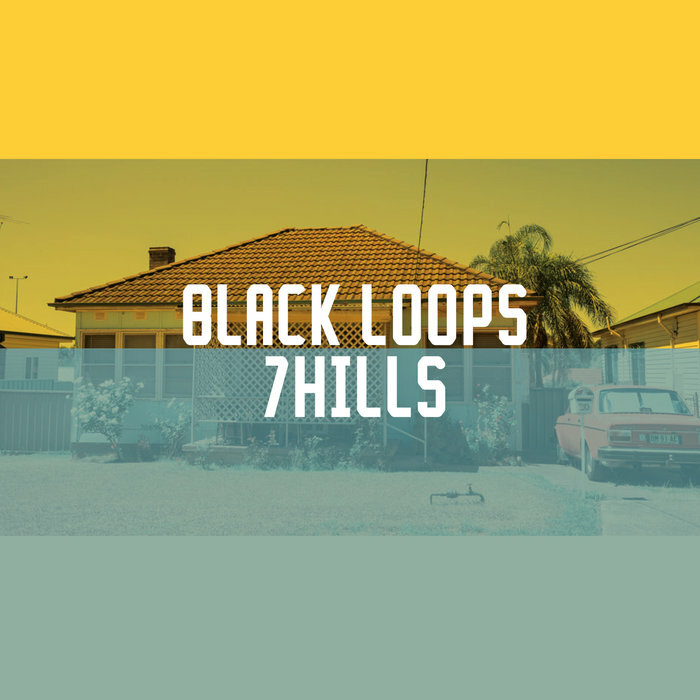 Black Loops & Nikos Haropoulos – 7Hills EP. Before i really give you this weeks track of the week. It needs a little of introduction to understand where it’s coming from. The track of the week which I’m about to come to is coming from the new 7Hills EP by Black Loops & Nikos Haropoulos, released on the Freerange records label. The main title track 7Hills is one that also deserves to be featured here among the other highlighted EP and album. This new EP has that real smooth Deep House vibe that you know from producer Black Loops. To be honest this is the first time we actually hear from the name Nikos Haropoulos where Black Loops apparently collaborated with for this new EP. Whoever he is, we really love the collaboration and are pretty sure to hear more music from both producers in the coming months. Track of the week: Black Loops & Nikos Haropoulos – King Paul. Finally where reached the ‘track of the week’ where we still need an official name for. So if you have a suggestion do not hesitate and e-mail your idea to me. This weeks track is part of the 7Hills EP which includes 4 tracks. I chose the track Black Loops & Nikos Haropoulos – King Paul, because of it’s deepness and smoothness. The track is a very easy on going Deep House groover with a dope laid-back atmosphere. It made me moving and come out of my studio chair to dance a little bit. As soon as the vocals came in, goosebumps rose on my arms and i even became a little emotional. The magic of music worked and grabbed me. I sincerely hope it does the same to you when you hear this track for the first time. I congratulate Black Loops & Nikos Haropoulos with this beautiful EP. The EP including the track of the week is available as 12” on vinyl. As on all digital formats and music streaming services. Private member section / Monthly membership? Last but not least, as many of you know i have been walking with the idea of creating a private member section for Dirty Disco. A place where users with a monthly membership can have access to exclusive content. Such as music, exclusive DJ mixes and merchandise for example. So far i received a lot positive reactions on this idea and it looks like I’m going to put this through as soon as i have figured out how this should like like and the technical side of it. If you look forward to this idea or when you have some other helpful suggestions. Please let me know and join the discussion through my contact page. Artist Track title EP / Album Record Label Release Date Vinyl?